A new strategy for the development of health tourism in Azerbaijan may be adopted till the end of 2018, chairman of the Association for Support of Medical and Thermal Tourism of Azerbaijan, president of the World Health Tourism Organization Ruslan Guliyev told Trend. "The strategy is almost ready and must be submitted to the Azerbaijani parliament in the near future," Guliyev said. The "Action Plan for the Development of Health Tourism", designed for 2018-2020, was planned to be adopted in early 2018 but this process is delayed due to reforms in the ministry and the establishment of new State Tourism Agency. "In general, the creation of the Action Plan remains a priority, most likely, it will be approved after the development strategy is adopted," Guliyev said. 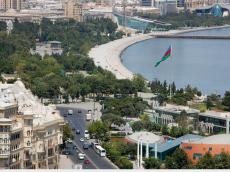 Azerbaijan took over a chairmanship in the World Health Tourism Organization from the UAE in 2018. "Azerbaijan’s chairmanship in the World Health Tourism Organization will further develop tourism in the country," he added. Azerbaijan has been a member of this international organization since 2014, in which 60 countries are represented, including Russia, UK, Germany, Turkey and India.